By applying Color on any object, you increase life of the object. Apart from it, this increases the Aesthetics’ of the product. 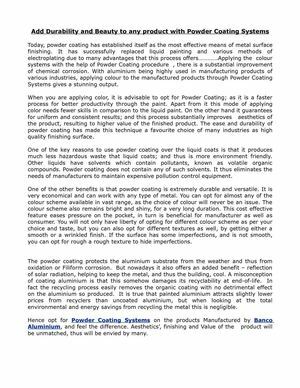 Among all the technologies’ for applying colour, for various reasons Powder Coating Systems is most sought.